-To build your belt, select a style of belt and choose what options you would prefer. -Rifle loops can be mixed or also spaced as well, if you have a 38 and a 45, we can alternate loops. 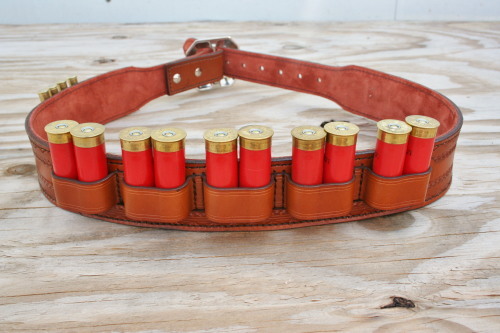 -all colors and border styles are available on a shotgun belt to match any of our holsters and gun belts. -We have made them all, so do not hesitate to ask for some guidance. ● Made of 8-10 oz leather. ● Lined with suede to stay put, unlined is available if desired. 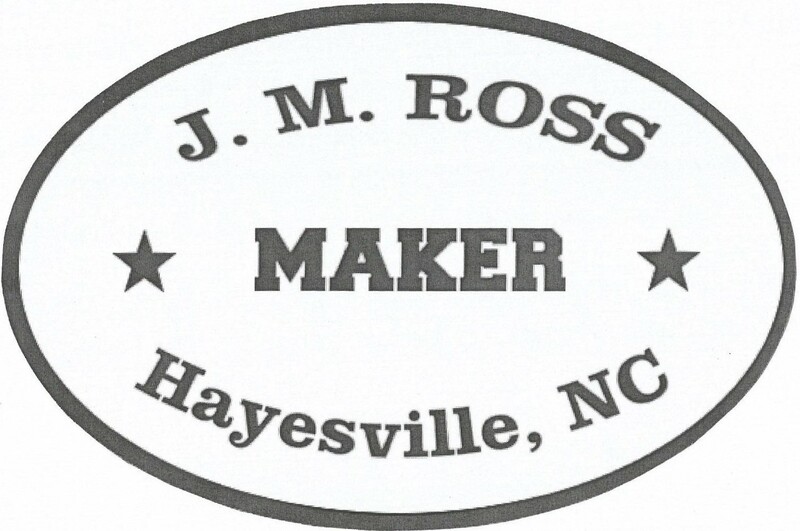 ● Border tooled, plain or custom, made to match your gun rig. 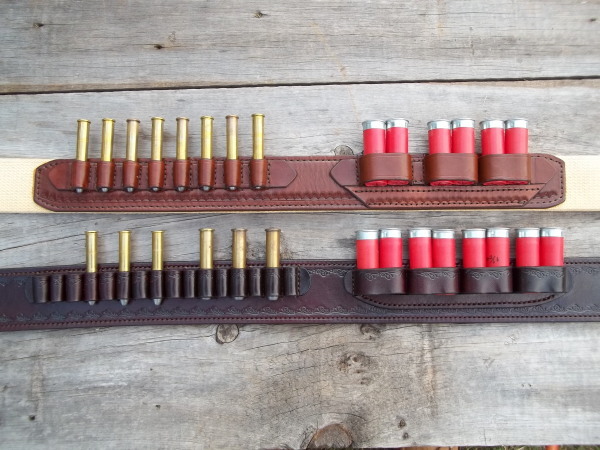 ● Clip corner buckle standard, or matching to your gun belt. 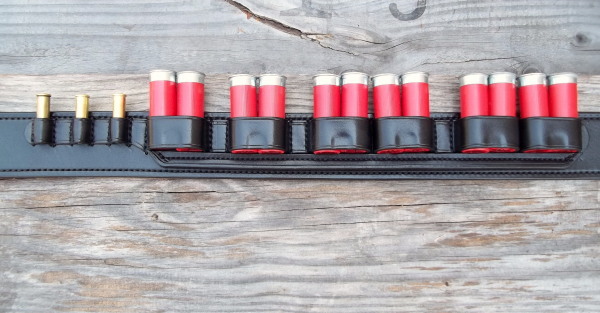 ● No extra charge for custom layout of bullet loops. ● Single loops or double loops, customer can customize spacing. ● 100% tailored to the shooter's needs. Straight or curved, the sewn on billets allow a wider belt to remain comfortable for all shooters. 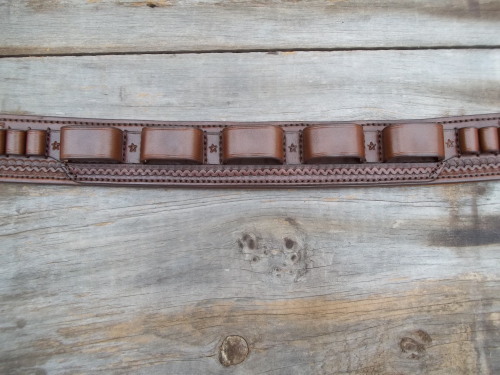 Billets are removable and sewn on for durability, we will resize any belt for the customer. Many shooters ask about the benefits of the curved belt. 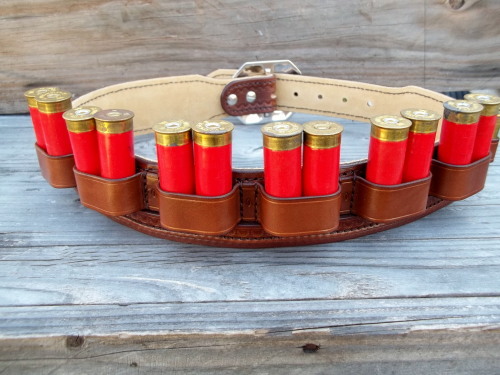 For any shooter with a ‘little more’ around the middle, it is the ideal shotgun belt as it stays put, never shifts downward, and is extremely comfortable. 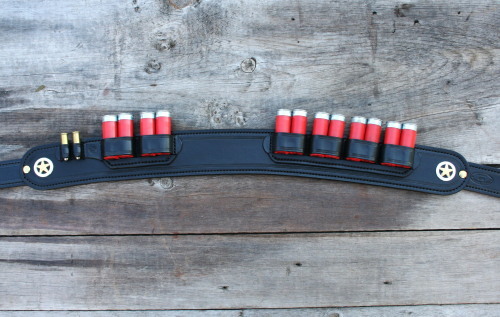 Shotgun belt with 5 inch gap in loops for easier pistol access. 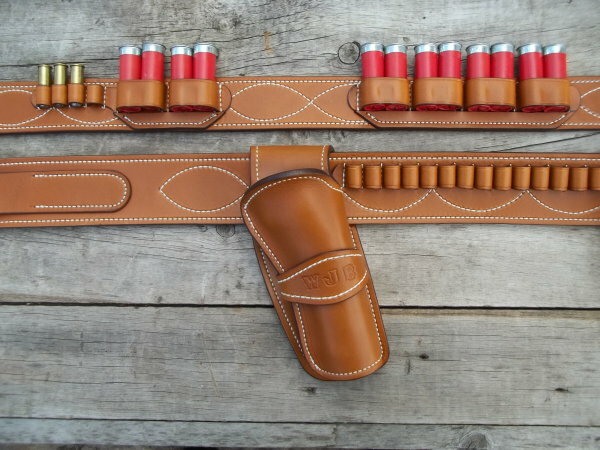 Custom Plainsman or Cody-Dixon belts.